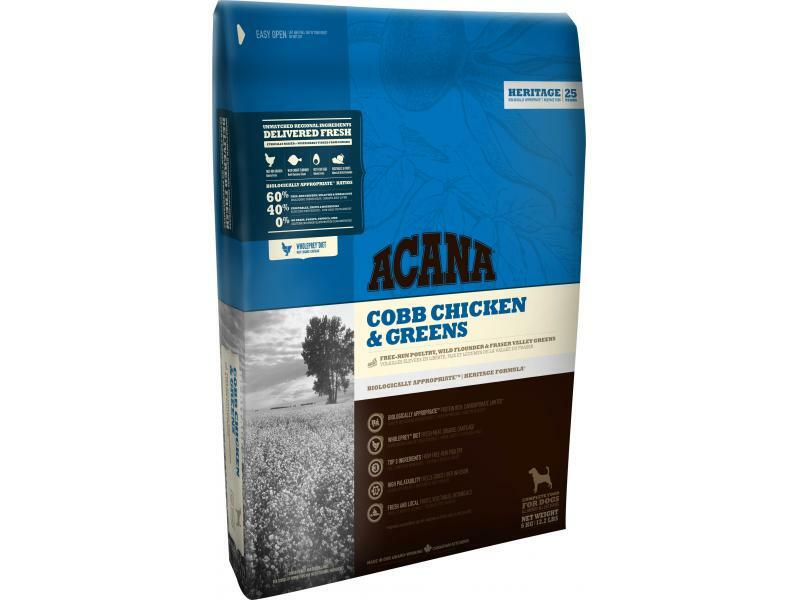 Acana Adult Dog Food is a delicious complete food loaded with free-run Cobb chicken, wild-caught flounder and nest-laid eggs. Rich in meat proteins to promote lean muscle mass and peak physical conditioning. Acana Adult Dog is also free of grains and fast carbohydrates such as rice, tapioca or potato and is formulated to keep your canine friend healthy, happy and strong. Below are some recent questions we've received regarding Acana Adult Dog, including answers from our team. Thank you for your question. I have contacted our suppliers who have confirmed that there is no potato or oats in the Cobb Chicken and Greens dog food.